If you were a female practicing medicine 8 years ago, getting dressed for work was probably not the most exciting task. No matter how greatly your patient workload may have varied, your choices of lab coats would have been very limited. Until recently, the only available lab coat styles were typically unisex and catered primarily toward the functional needs and measurements of men. For women in the medical field, this meant the only option was to wear a lab coat that hung like a smock. 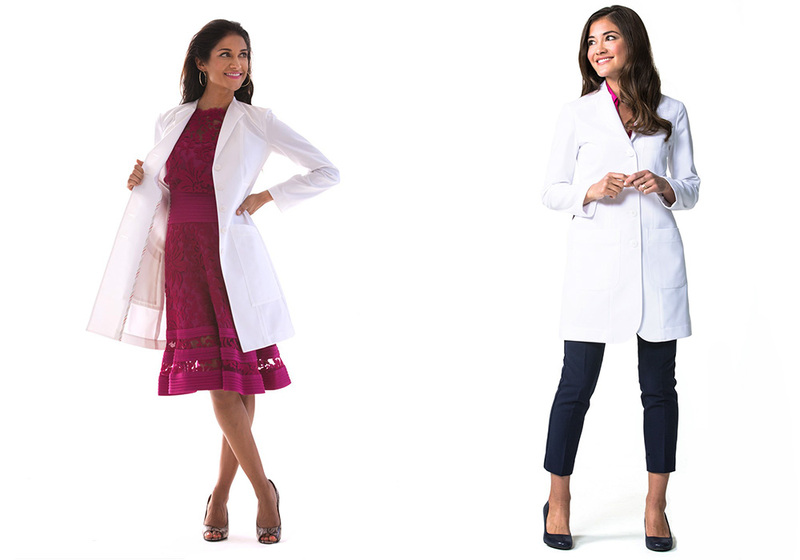 Fast forward to today, when medical apparel companies such as Medelita are finally creating lab coats that fit the needs of the nearly 300,000 female doctors and thousands of women in related scientific fields. Now considerations such as height, body type, and personality are made during the design process. Some lab coats are even made according to specialty, such as a dentist or dental surgeon that needs a wider range of motion in their coat. Flattering silhouettes and new construction details have transformed the workwear wardrobe for women everywhere. This entry was posted in Lab Coats, Women's Lab Coats and tagged Lab Coat Style, lab coats, Lab Coats For Women, Tailored Lab Coats on February 23, 2016 by Sierra Kennedy.